So, I’ve been away from this blog for quite some time. I went back to work in September after my nervous breakdown and diagnosis with depression, but I found I was unable to cope with the stress of teaching. 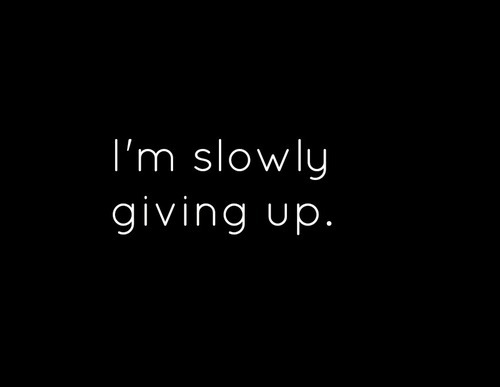 My depression has been worsening and I find myself rapidly approaching the state I was in just over a year ago. I find my thoughts drifting to suicide again and again. I find the thought of self-harm attractive again. I have been having panic attacks and my fear of crowds has returned with a vengeance. I am petrified of doing anything in case I do it wrong. Let me be clear; I know it’s the depression talking. I know these thought processes are irrational and self-destructive. I find it so difficult to talk to people about it and I know this is hurting those around me. I cannot control my moods. I swing from depression to euphoria to blind rage at the drop of a hat. As a result, my sister has cut off contact with me and my parents aren’t talking to me (I cried all night after that episode). I wish I could say I blame them, but I know it is entirely my fault. The tablets are barely keeping it under control (or aren’t keeping under enough control) and the thought of looking for a new job while feeling like this terrifies me. My relationship with Lauren eventually failed, but we are still very close friends, which I am eternally grateful for. Trying to look objectively at my life is tricky, to say the least. I hate the way my life has turned out, but I have no-one to blame except myself. I realised that I have been drinking too much recently and that has now stopped. I am going to try quitting smoking again, too. That’s all I can manage to write for now. I’ll hopefully update this again soon. This entry was posted in Antidepressants, Depression, Life, Personal. Bookmark the permalink. You have a good style of art work and time to focus on it now. There are many helpful books with hints and tips for submitting your art to people and putting together a portfolio etc. Plus there’s the websites I suggested to you previously for looking for word. It’s hard getting started but if you’re determined and you persevere then you’ll make it. Just focus on what you want to achieve. Also, there are more jobs available oop North in the museum services industry if you’re interested in educating kids about history by being the boss of people who dress in period costumes. Sometimes we behave in certain wa I ys with people because we are justifiably furious with them. You say you were so mood swingy with your sister that she cut off contact. If your sister is L, who comments on your facebook ppsts, then I would suggest it’s less irrational mood swing and more poorly expressed, but justifiable anger. She seems to go out of her way to antagonise you and be unpleasant. I would suggest writing her a letter – not to be sent – and explore your feelings. It helped me understand and control my feelings toward my parents. I can’t help everyone and I know a lot of help is just empty platitudes but you were there for me when my parents split and if I can help, let me know. Even if its just a shoulder to cry on. Don’t hurt yourself. I’ve been ‘fortunate’ to know a few people who really take the self-harm thing a long way and that’s put me off, but I still cut – sometimes. Its not worth it. Try gripping ice or something instead, that’s what I was taught to substitute. It hurts, but doesn’t do permanent damage. Understanding depression when you don’t have it yourself is almost impossible. 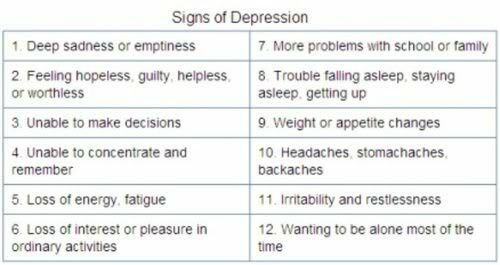 Understanding depression in someone you are close to is a challenge. Some people are not up to the challenge. I went to counselling to help me deal with the affects of depression on me when someone I knew was diagnosed. I learnt a lot about me, but also learnt that I could not blame the depression for everything, the sufferer them self had to take some responsibility for their actions towards me. I need to treat this with understanding at the same time staying strong and healthy. Its a fine line to walk, sometimes it would be easy to give up. How much abuse do you take before you can’t take anymore? How often do you get to the point of despair yourself before you walk away? How do you walk away knowing what will happen next? How do you take responsibility for someone’s actions when they are so irresponsible? How do you reconcile your love for them with the damage they are causing you and your children? I have no answers, just questions. I guess I will do this till I no longer can.